Have you been searching for a truly versatile midrange disc whose plastic feels great no matter the weather conditions? 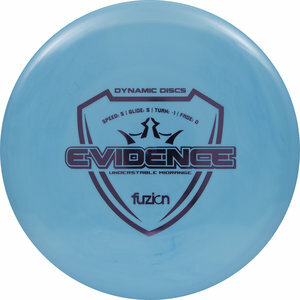 Introducing the Lava Evidence by Dynamic Discs. The great flight you have come to learn and love from the Evidence in a fantastically grippy and flexible blend. What was only available as an off limits fundraiser disc is now available with this stamp only in a very limited run. Don't fail to pick up the Evidence while you see it.